Designing the right diet to help you meet your healthy living goals can be a lifelong challenge. Even the best eating plans don’t work for everyone. And, even if you find a diet that is right for you, the solution might only be temporary because your nutrition needs change over the course of your lifetime. For many people, the answer is to modify one or more existing eating plans to suit their goals. Taking what works for you from the best diets available can help you achieve optimal health and fitness—even when those eating plans don’t necessarily seem to complement one another. This is the case with vegan and ketogenic diets. These two popular eating plans don’t seem to have much in common but, in reality, they can be blended into the ideal eating plan for many people. Why are these two diets so unlikely to be paired with one another? For starters, one involves eating a significant amount of meat (ketogenic), while the other eliminates not only all meat but any food that comes from an animal source. The primary staple in a keto diet isn’t even eaten in a vegan diet. But, do these differences mean eating a ketogenic diet isn’t an option if you are opposed to eating meat and other foods produced by animals? Can you be plant-based and still follow a keto diet? Are there keto vegans or vegan keto eaters? The simple answer is “yes.” There is a way to combine both of these diets and create an eating philosophy all your own, but it takes a lot of planning. You’ll be investing time, money, and willpower into eating, but for many, it’s worth the effort. Once they’ve mastered a vegan keto diet, they’re able to achieve optimal health and feel their best each and every day. It all starts with understanding what a vegan keto diet looks like. Though it can vary from person to person, being vegan means, in general, you eat zero animal products. Not only does this include meat, poultry, pork, and seafood, you also eat nothing that comes from an animal. This means no eggs, no honey, no milk, and no cheese. You avoid fish oil, foods containing gelatin, meat-based broths, and some refined sugar. It’s a very strict eating plan, but it’s the right choice for many based on reasons that are ethical and health-oriented. 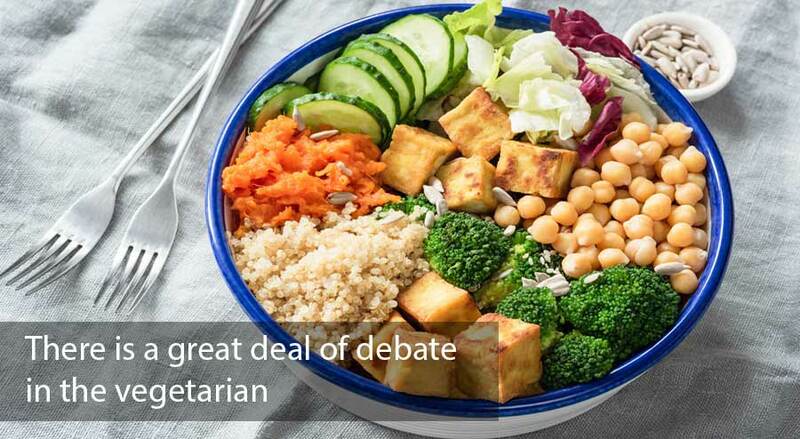 Is it really healthier to be plant-based and adhere to a vegan diet? According to a 2016 study, people who reduced their intake of conventionally raised animal-bad foods also reduced their risk of obesity, diabetes, heart disease, and cataracts. There are many reasons people choose to forego eating animals and animal products and switch to what they consider a compassionate diet. People opt for the extreme of veganism over vegetarianism because they believe that eating products that come from animals is exploitation. Even though the animal is not being killed for food, it is being held in captivity and used for what it can produce. In addition to sparing the lives of the animals, some people believe animal products are toxic, especially due to factory farming and the way meat is processed in the developed world. Others believe veganism is better for the environment. They point to the meat as being a burden on our natural resources and believe the process contributes to greenhouse gas emissions. Vegan diets have been proven to prevent and/or treat obesity in people of all ages. Vegans typically have lower body mass than meat and animal-based protein eaters. This is due, at least in part, to the fact that vegans tend to have high fiber diets that are high in healthy fats. Some studies have shown a vegan diet can be an effective tool for managing bronchial asthma. Some people with asthma have even been able to reduce their need for medication when switching to a vegan diet. Switching to eating vegan isn’t going to cure anyone of cancer, but there is evidence that a vegan diet can reduce your risk for a number of different types of cancer, including breast cancer, cancer of the colon, lung cancer, esophageal cancer, colorectal cancer, and prostate cancer. This is because non-animal sources of protein have a high concentration of non-essential amino acids and are high in flavonoids such as vitamin C, beta-carotene, and carotenoids. Again, vegans tend to eat high fiber foods which are good for reducing the risk of cancer. They also include a number of “anti-cancer” foods in their diets, including tomatoes and garlic. There is also evidence that the consumption of soy by young female vegans tends to reduce their risk of developing breast cancer later in life. Vegans tend to have healthy blood pressure and lower levels of LDL or “bad” cholesterol. They also fall typically within a health BMI (body mass index) range and they eat a lot of food types that offer protection against cardiovascular disease. Studies have also shown a vegan diet tends to be beneficial for blood pressure levels as compared to a non-vegan diet. Plant-based diets have been shown to reduce the need for insulin by improving blood sugar levels. A vegan eating plan also tends to promote better hemoglobin levels and healthier weight, which further reduces a person’s risk for diabetes. Though it might seem as if cutting dairy from your diet would be counterintuitive to having strong, healthy bones, the truth is veganism can improve bone health. This because of the high consumption of nutrients like magnesium, vitamin K, and potassium. Vegetables contain high concentrations of these nutrients, so the more you include in your diet the better. There is also evidence that an acidic diet that includes meat tends to cause the body to lose calcium in urine, which can lead to brittle and weak bones over time. Some evidence shows that a vegan diet can have a promising effect on the speed at which neurodegenerative diseases like Parkinson’s progresses. Meat-based diets tend to enhance a person’s risk for developing Parkinson’s and other similar diseases because of the negative effect they have on vascular health. Vegan diets are high in fiber, vitamin C, vitamin E, and carotenoids, all of which have an anti-inflammatory effect. Switching to a plant-based way of eating can be extremely beneficial for those dealing with rheumatoid arthritis. In addition to the specific health benefits of eating vegan, most people who make the switch report feeling better overall. They have more energy, feel lighter, are able to digest their food more easily, and have more energy. Many report their mood feels more stable and they experience more happiness. There is also some evidence that a vegan diet that includes soy products can make it easier to manage stress. 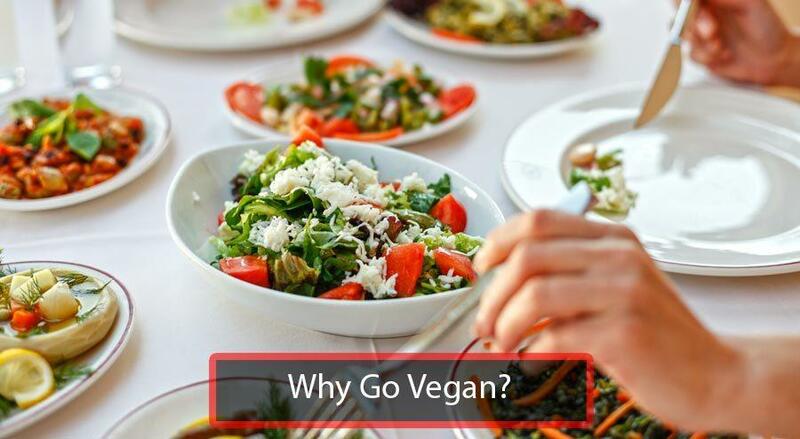 Making the transition from meat eater to vegan eating is the right choice for many people for a variety of different reasons. For some, however, simply eliminating animal products from their diet isn’t enough and they’re looking for an additional way to optimize their eating. The traditional high-carb vegan diet isn’t for them and they want to eliminate animal products without relying on carbs for their energy. For these people, vegan ketogenic diets are the best option. What Is the Vegan Ketogenic Diet? Now that you understand what it means to eat vegan, let’s look at the ketogenic diet. Though some people consider keto to be a relatively new phenomenon in dieting, ketogenic diets actually date back to the 1920s. Originally, this method of eating was prescribed by doctors to treat epilepsy. Why is it called the ketogenic or keto diet? One of the primary questions people ask about this method of eating is why it’s called ketogenic eating or the ketogenic diet. The reason for this has to do with how the diet affects the body’s natural processes. The ketogenic diet is based on restriction of carbohydrates. It relies on dietary fat for the majority of calories. In response to this style of eating, the liver converts fat into ketones, which give you energy in lieu of the missing carbohydrates. When on a keto diet for a prolonged period, it causes ketones to show up above a certain level in urine or when you take a breath test, the dieter has officially entered ketosis. This means is it running on ketones. Most people are interested in a keto diet because they want to lose weight, but there are other benefits. People who adhere to a keto diet report experiencing sustained energy. This is because they aren’t eating large numbers of carbohydrates and they are able to keep their insulin levels steadier than carbohydrate-based dieters. Stable blood sugar levels eliminate that “afternoon energy crash”and feelings of sluggishness. One study in the Annals of Internal Medicine showed that a ketogenic diet controlled blood sugar more effectively than a more standard, low-calorie diet that was high in carbs.Additionally, research published in the British Journal of Nutrition found that people following a ketogenic diet lost more weight long-term than those who ate a low-fat diet. Keto diets, like vegan diets, are very limiting. Strict keto eaters aim for a carbohydrate intake of about 5 percent of their total calories per day. Protein makes up about 20 percent of their caloric intake, while fat is the primary source of their calories at 75 percent. Even the moderate version of the keto diet limits people to 20 percent carbs, 20 to 40 percent protein, and 40 to 60 percent fat. Keep in mind, though, in the moderate version of the ketogenic diet, your body is unlikely to produce ketones and, therefore, is not a “true” keto diet, even if it provides some of the benefits of this style of eating. With two opposing diets, how is it possible to combine them into a single eating plan? It’s possible, but it takes some work.In the broadest sense, combining keto and vegan means eating a high-fat, low-carb diet free of all animal products. The usual “rules” of both diets aren’t going to apply. Vegans don’t eat animal products, including poultry, meat, or fish, all of which are considered the main staples in the keto diet. And ketogenic dieters can’t eat many of the most common non-meat protein sources, such as legumes. So, now that you know what you can’t eat, what can you eat? In general, you’ll want to stock your pantry and refrigerator with plenty of fats from plant sources and proteins that are low in carbs. Specifically, nuts, seeds, and butter from those sources, vegetables, and plenty of spices for flavor. You can satisfy your sweet tooth with low-carb sweets and also keep on hand oils for added fat and flavor. 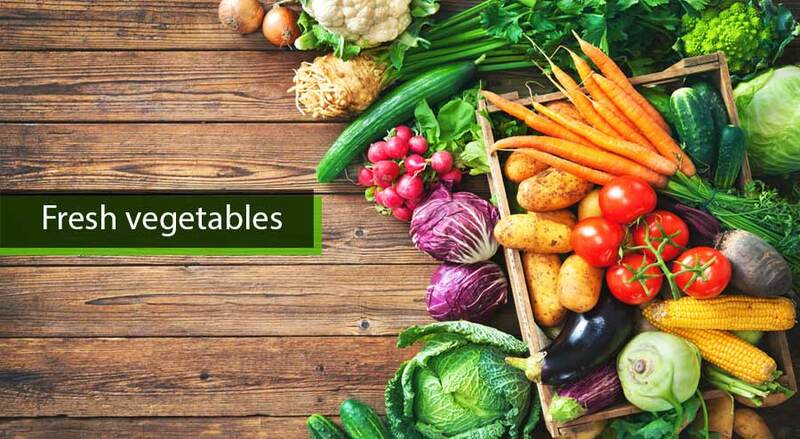 Weekly, or even a few times a week, you’ll need to stock up on fresh vegetables. You can also use frozen vegetables if fresh aren’t available. Most veggies are cleared for both keto and, of course, vegan eating. They’re great for snacking, mixed in salads, added to soups, or roasted. There are also certain refined vegetable oils you’ll want to avoid. As the name indicates, these aren’t derived from animal sources, but they undergo a great deal of processing and their omega-3 to omega-6 ratio is less than favorable. They also tend to promote inflammation and aren’t safe for cooking. There is some evidence consuming heated refined vegetable oils can cause neurological damage and heart health issues. It’s always better to cook with saturated fats, such as coconut oil. As is the case with any strict eating plan, you’re going to encounter a few challenges when your diet is vegan ketogenic. 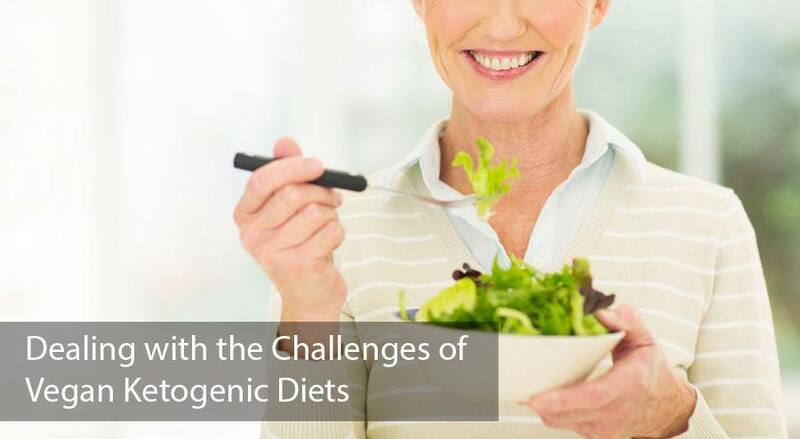 The main challenges are the two faced by those following either of these individual diets. One, how do I keep carbohydrates under control when I’ve eliminated several foods a standard vegan might eat? And two, how do I get enough protein when I’m not eating meat, fish, and poultry—the primary staple of a keto diet? Let’s start with keeping carbs in check. Cutting carbs is tough these days for everyone, considering how much the standard American diet relies on carbohydrates for calories. The average ketogenic dieter keeps their daily carbohydrate intake between 30 and 50 grams per day. This is less than you’d find in a single apple or banana or in a slice of bread. One of the best ways to break a “carb addiction” is to substitute foods that are similar in appearance and texture. These foods are able to mimic some of your favorite dishes but are made from the items on the approved keto food list. For instance, you might make creamy mashed potatoes from cauliflower or put a vegetable curry on top of cauliflower “rice.” It’s even possible to turn vegetables into noodles and duplicate a giant bowl of pasta. It’s impossible to completely trick your tastebuds. You’ll know you aren’t eating foods that were formerly part of your diet, but you won’t miss them quite as much. The key to successfully making a drastic dietary switch is to give yourself time to develop a taste for different foods. It takes time to go from craving bread, pasta, and rice to vegetables and fats. Eventually, though, your body will start to develop a taste for fatty foods instead of carbs. You’ll find coconut, avocado, and nuts are just as appealing as a couple of slices of toast after a few weeks of eating keto. One of the primary concerns that vegans have when it comes to their diets is getting enough protein. This isn’t a problem with a keto diet because meat, poultry, and other protein sources make up the bulk of the diet. However, these are no longer options if you’re going vegan. So, how do you get enough protein if you eliminate the main sources of protein on a keto diet? Most health experts recommend .07 g of protein for each pound of your goal body weight if you’re active. If you tend to focus on strength and weight training during regular workouts, you can bump this number up to 1 g.
It’s important to note that this recommendation is based on your goal body weight—not what you currently weigh. So, let’s assume a person weighs 190 pounds but they want to drop 15 pounds. They do some light weight training at the gym, but nothing over the top and it’s not included in every single workout. Their daily target protein intake is about 120 g per day. This is based on their 175-pound goal weight, as opposed to their current weight of 190 pounds. However, if they are hitting the weights hard several days a week, they’d want to bump their protein intake up to about 175 g per day, especially on workout days. Figuring out what the appropriate amount of protein looks like when it comes to choosing foods can be a little tricky. Many people find themselves laboriously checking labels, but this doesn’t help much if your protein sources are coming from fresh veggies, tofu, and other non-animal protein sources. Things get even trickier when you’re trying to meet your protein needs without overdoing it on carbs. For instance, three-quarters of a cup of sunflower seeds is a great source of protein and gets you to the 30 g or so mark. However, you’re also consuming 10 g of carbs. Your best bet is to turn to the lowest carb highest protein sources you can find. Most vegan keto dieters rely on almonds, hemp seeds, seitan, tofu, and tempeh to ensure their diets are balanced in the proper manner. Also, keep in mind that you can (carefully) supplement with vegan protein powders. For instance, adding hemp, rice, or pea protein powder to a veggie shake can help you reach your goals in a single meal. If you choose to go this route, you’ll need to consider factors such as bio-availability, which takes into account how effectively your body is able to process the supplement. Just because you’re putting it in your mouth doesn’t guarantee it’s going where it needs to go once you swallow. Animal protein is considered a complete source of protein because it contains all of the essential amino acids needed by your body. It’s tough to find a complete plant protein. Quinoa is an example of a complete protein from a plant source, but it’s far too high in carbs to be included in a keto diet. All is not lost, though. Plant proteins can be processed by your body and they do count toward your total protein intake, but it’s important to keep careful track of what you’re eating on a daily basis, at least for a while. You need to eat as wide a variety of vegetables as possible to ensure you are getting all the amino acids your body needs. It’s also important to combine different protein sources at each meal and not allow your body to settle into relying on a single source of protein. Not only does this help you with your protein goals, but it also ensures you’re getting a wide range of vitamins and minerals from your food. 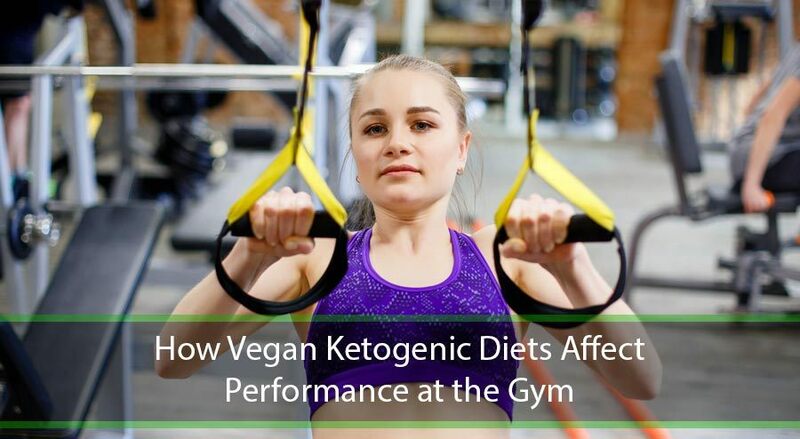 Though this isn’t the case for everyone transitioning to a vegan ketogenic diet, there are many who are going to find their time at the gym working out becomes a lot more challenging—at least for a period of time. Even those who aren’t frequent gym-goers or into fitness might feel sluggish or more tired than usual as they switch to vegan keto eating. Much of how difficult the transition to the new diet will depend on your eating habits beforehand. For instance, if you were relying on a lot of animal-based protein for energy, suddenly removing it from your diet can be a challenge. What’s more, if you are going from a standard American diet to vegan keto eating and you make a sudden change, you can expect to feel out of sorts for a few days or weeks. Your system needs time to adjust to any new diet, even if you are vastly improving your eating habits. If possible, make your transition gradually to avoid a number of problems that sometimes go with dietary changes. Even if your body accepts your new way of eating quickly, you might notice working out will be hard for a while. Cutting carbs and switching to keto eating means your body will actually undergo a process where it must move from using carbohydrates to using ketones for energy. The same is true if your body is not getting the full variety of amino acids it’s used to from animal protein. The key to getting through this phase is to be consistent and power through your workouts. Don’t give up, but also don’t overdo it. Deciding to train for a marathon or weight lifting competition shortly after the transition to a vegan keto diet isn’t the best idea and will likely end in failure one way or another. The good news is it is possible to eat vegan keto and lose weight without dealing with a reduction in strength. Some research has actually shown that keto eating improves the performance of athletes and helps them keep their strength up without having to add bulk. So,in the longterm, changing your eating habits is likely to pay off. One of the easiest ways to follow a specific kind of diet, be it vegan, ketogenic, or any other option, is to take your favorite recipes and alter them to suit the diet. To give a general example of how this works, someone avoiding dairy or animal products might use bananas as a substitute for eggs when baking a cake. This is just a few examples of how you can still enjoy some of your favorite foods or favorite meals without “cheating” on a vegan keto diet. There is a great deal of debate in the vegetarian and vegan community over soy-based meat substitutes. They can be a convenient and palatable option for non-meat eaters, especially as they transition into a vegetarian or vegan lifestyle. But there’s a catch. One study showed that soy—and, therefore, products containing soy—contain isoflavones. Isoflavones are a type of plant estrogen that tend to mimic the female hormone in the body. In small amounts, this isn’t considered a problem, but consuming too much can have a negative impact on health. If you’re relying on soy-based meat products on a regular basis (for more than a serving per day), there’s a risk involved. Your best bet is to limit these foods to when they are most needed. After all, they are intended for convenience and, like most convenience foods, there are typically healthier options available. If you have the time to prepare a meal you should do so and save the soy burgers or patties or crumbles for the occasional busy day. The same is true for soy milk. You are better of substituting nut milk types instead of soy milk, even if the nutty taste takes a bit of getting used too. Keep in mind, fermented soy products, including soy sauce and tempeh, don’t pose the same health risk, so they can be eaten without concern. Vitamin B12 keeps you feeling energetic and supports a healthy central nervous system, as well as skin, hair, and eyes. It’s also important for digestion. B12 deficiency tends to be a serious problem for people who eliminate meat and animal products from their diet because it’s difficult to come by in plant foods. The best vegan sources of B12 tend to be high in carbohydrates, so your best bet for making sure you meet your needs is to take a vegan B12 supplement. DHA and EPA are omega-3 fats and promote healthy cell structure. Omega-3 fatty acids are also important for the prevention of heart disease. Fish oil is a common supplement taken to help people meet their omega-3 needs, but this isn’t an option for vegans. Instead, you can supplement with algae, which is actually where fish get their omega-3 intake. It’s no secret vegetarians and vegans struggle to get enough iron in their diets. Iron is important because it’s needed for healthy hemoglobin, which is responsible for transporting oxygen from the lungs to the rest of the body. Without sufficient iron in your diet, you’ll feel exhausted, your nails and hair will be brittle, and your skin will be pale. And despite many vegetables containing a decent amount of iron, it can be tough for the body to absorb plant-based sources of iron. In addition to including plenty of iron-rich green leafy vegetables in your vegan keto diet, it’s also a good idea to take a vegan-based iron supplement, especially if you are a menstruating female. Though it’s possible to take many of your favorite meals and alter them to suit a vegan keto way of eating, it can help to have a few sample daily meal plans. This makes it easier to plan for grocery shopping and it gives you a few suggestions for low-carb vegan meals when you’re first getting started with vegan keto eating. It’s also a good idea to have one to three go-to vegan low carb meals you know you can make with simple ingredients and in a hurry. You might even consider having a meal preparation day and then freezing a few of these meals so you never need to feel stress over what you’re going to eat in a pinch. One final note, it’s important to realize that transitioning to a strict way of eating might take some trial and error. Some people are able to make the change without ever looking back because they feel energized by their new diet. Others know they are making a positive change, but it takes some time for their body to adjust. Go easy on yourself during this time. 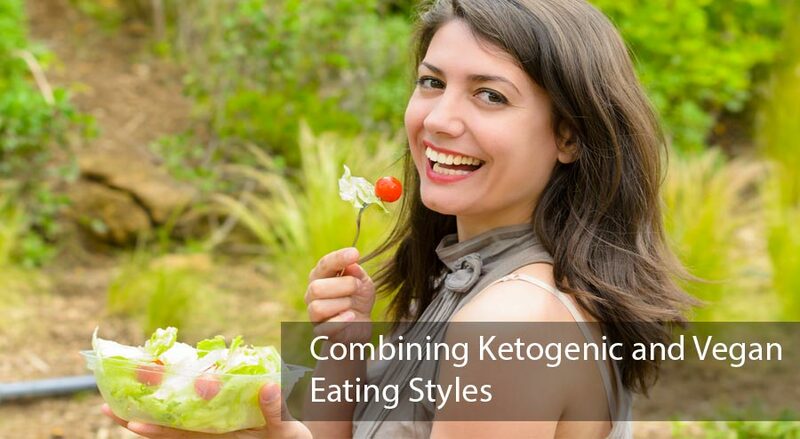 Try to make switching to a vegan ketogenic diet fun by trying new recipes and finding ways to make your meals enjoyable. If you occasionally slip by accidentally eating a food that doesn’t adhere to the plan, don’t be too hard on yourself. It’s difficult when you are attempting ketogenic eating and you need your body to achieve a certain state, but over time mistakes might happen. The good news is every meal is an opportunity to make the best choices for your body and enjoy the benefits of vegan keto eating. Thanks for sharing this article im a vegan also and i support your article. This should be spread around so people will know that being vegan is the greatest thing that will ever happen to them.